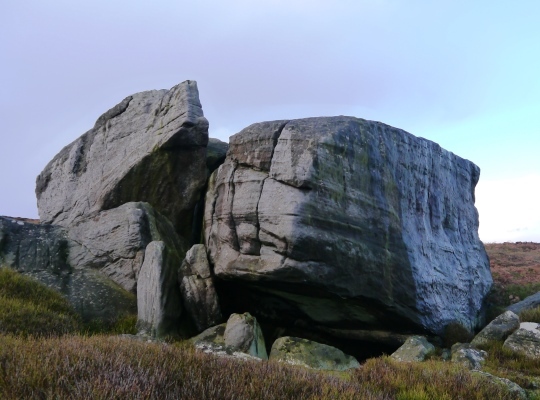 Not so much a crag as a jumble of large gritstone boulders, the Wolf Crags are found on Stone Beck Moor, the eastern edge of Kirkby Malzeard Moor. 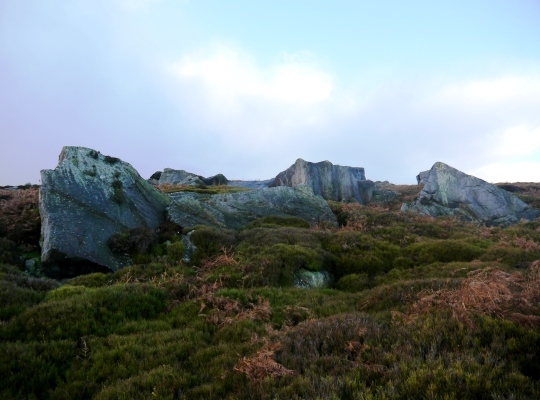 Wolf Crags, like so many other gritstone crags in the Nidderdale AONB are known to relatively few people. To my untrained eye they probably have some potential for boulderers. Apart from that the only people likely to pass by are curious ramblers like myself who like to investigate features marked on the map. The crags themselves are not that difficult to reach as they are situated just half a mile west of a section of the Ripon Rowel route. 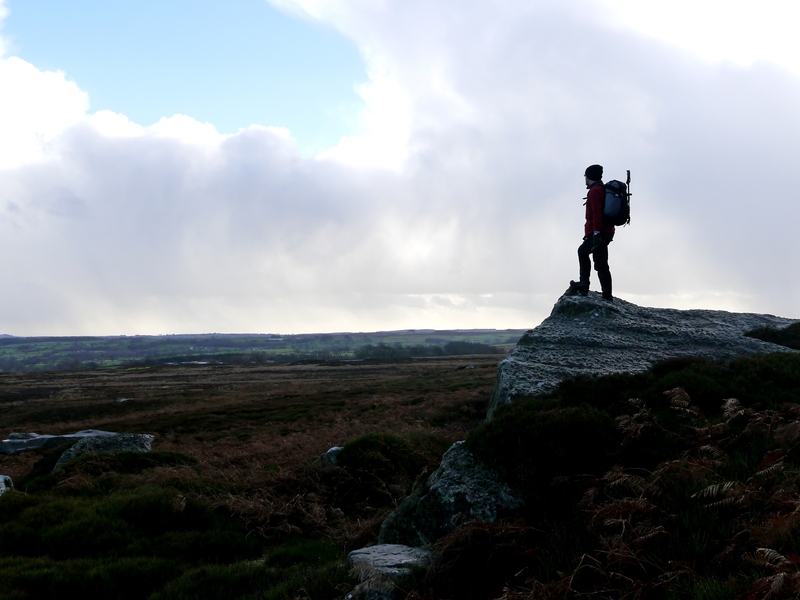 A walk to the crags can be combined with a visit to Carle Tower and the Carlesmoor sighting tower on an enjoyable exploration of this unsung area of moorland.